Show off sweet style with this link from B&B Benbassat. This link takes on the delicate shape of a heart outline. Two loops are attached to the top of the heart, so you can easily add this piece to designs. Showcase it at the center of a necklace and dangle colorful beads in the frame of the heart. You could also use this piece in earrings. Try wire-wrapping beads to the frame for a fun look. 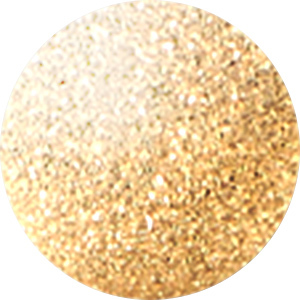 This link features a regal golden shine that will add a classic touch to your designs. Pair it with rich red for a romantic look. Delight in the whimsy of this B&B Benbassat link. This link takes on the shape of a beautiful butterfly and is full of sweet details. The butterfly wings have a slightly wavy dimension, so this piece is sure to stand out in designs. A loop is attached to the tip of each wing, so you can showcase this piece at the center of a delicate necklace or even add it to earrings. It displays a versatile silver shine that will work with any color palette. Try it with fresh spring colors. Give your designs a fancy touch with this link from B&B Benbassat. This link takes on the shape of a curved leaf with flowing fronds. It could also work as a feather in designs. A loop is attached to each end of the leaf, so you can easily showcase it at the center of a necklace. You'll love adding the detailed beauty of this piece to your jewelry designs. It features a regal golden shine that would work well with classic colors. Try pairing it with purple, red, or blue. Let whimsical style fill your designs with this B&B Benbassat link. This link takes on the shape of a beautiful butterfly and is full of sweet details. The butterfly wings have a slightly wavy dimension, so this piece is sure to stand out in designs. A loop is attached to the tip of each wing, so you can showcase this piece at the center of a delicate necklace or even add it to earrings. It displays a brsasy gold color with vintage appeal. Pair it with rich jewel tones. Give your designs a magical feel with this B&B Benbassat link. This eye-catching link features a detailed feather design on the front. The back of the link is plain. A loop is attached to each end of the feather, so you can easily add it to designs. Dangle it in bold earring styles, use it to length chain necklaces, showcase it at the center of a bracelet, and more. It will certainly add flair to your jewelry designs. This feather displays a silver shine that will work anywhere. Celebrate the beauty of nature in your style with this B&B Benbassat link. This bold link takes on the shape of a pointed leaf, complete with gorgeous details. This link has a slightly curved or wavy dimension, so it's sure to stand out in designs. The bakc of the link is plain. A loop is attached to each end of the leaf, at the stem and slightly above the pointed tip. With these loops, you can showcase this piece at the center of a necklace. It's an elegant option for designs. This leaf displays a regal golden shine that's sure to draw attention. Capture nature's beauty with this B&B Benbassat link. This bold link takes on the shape of a pointed leaf, complete with gorgeous details. This link has a slightly curved or wavy dimension, so it's sure to stand out in designs. The bakc of the link is plain. A loop is attached to each end of the leaf, at the stem and slightly above the pointed tip. With these loops, you can showcase this piece at the center of a necklace. It's an elegant option for designs. It features a brilliant silver shine versatile enough to work with any color palette. Show off your loving side with the 21.5x27.3mm antique silver-plated brass winged heart link. This link features a heart shape in the center, flanked by angel wings. The details on the front of this link are stunning. The back is flat and plain. A small loop is attached to the tip of each wing. Use this link as a pendant in a delicate necklace or use it to create a unique earring design. This link features a versatile silver shine that would look good anywhere.